Cv. 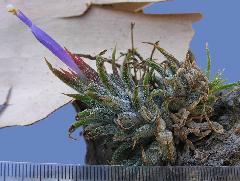 of T. ionantha by Bob Hudson, Cairns. 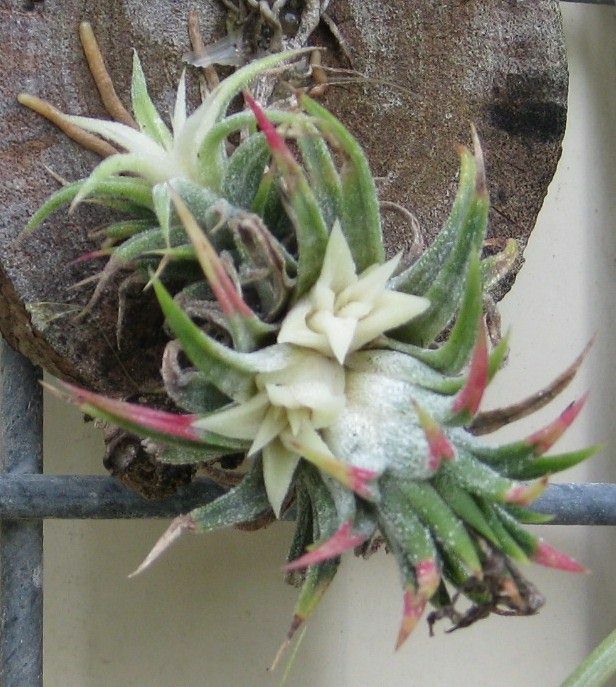 Tillandsia ‘Minnie’ by Butcher May 2010. 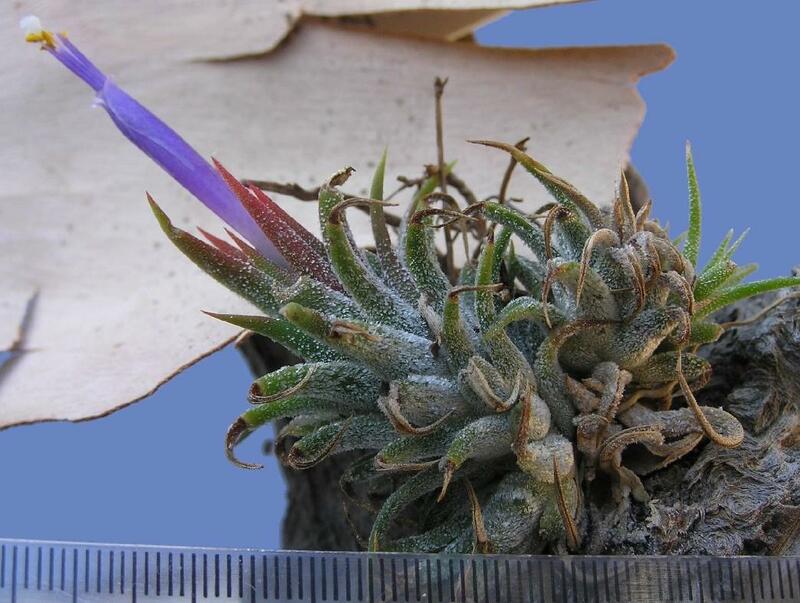 This plant originated in the collection of Bob Hudson, Cairns, Queensland in the early 2000’s in a seed batch of selfed T. ionantha. This one did not grow like a ‘normal’ but stayed dwarf and usually about 3cm diameter at flowering size. This seemed worthwhile propagating and there are several specimens already being grown around Australia.